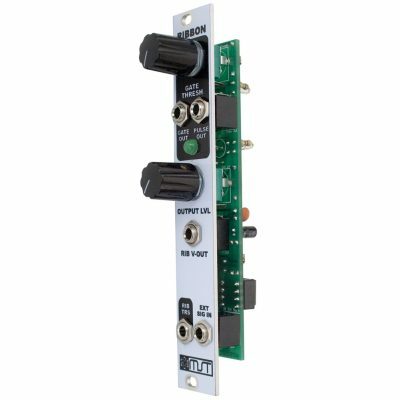 Thank you for purchasing the MST Ribbon Controller kit! This is an easy build. It is very important to get all the components properly soldered into the PCB in the correct placement. If you feel like you can handle it, please proceed! If not, get some help from a friend with experience or purchase a fully completed unit. First up are the diodes. These are polarized, so make sure when you are populating them to get the cathode band (black stripe) aligned in the same orientation as indicated on the PCB by the stripe. 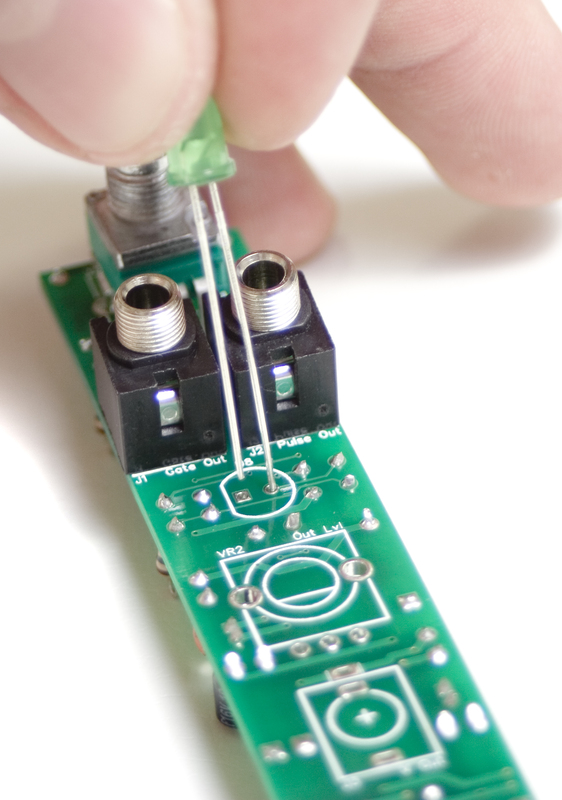 Once they are populated, flip the project over, and solder them in place, clipping the excess leads. You will need to save at least one of these clippings for the stereo jack later in the build. Next up is the IC socket. The IC socket has a semi-circular notch in one end that indicates pin1 on the IC, so it is important to make sure it is lined up properly. 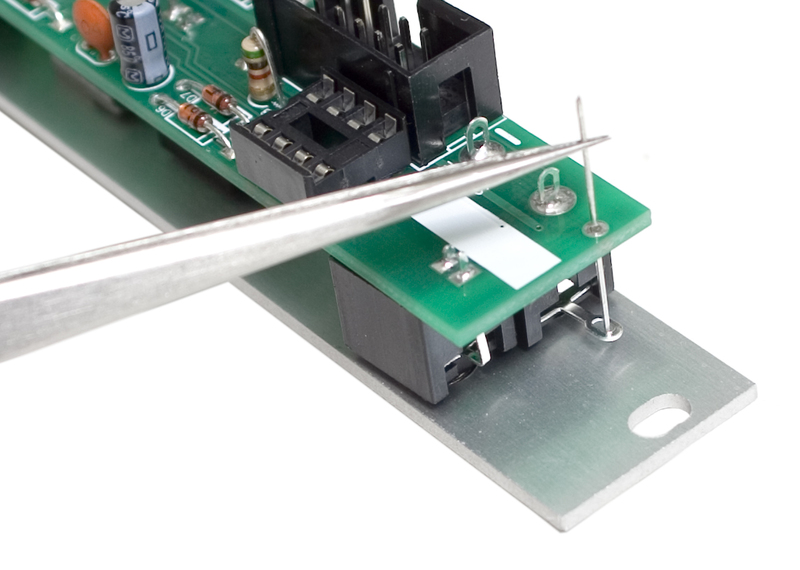 Put the side of the socket with this notch facing in the same direction as indicated on the PCB (towards the top of the PCB). Carefully flip your project over and solder it in place. In order to get it nice and flat, you can solder just one leg of the socket, then while applying gently pressure, reflow that solder joint so that it sits flat. Then go back and solder the remaining pins. Below is a close up of how they should look after soldering. We are now going to start populating the front panel components. Do NOT solder anything yet! 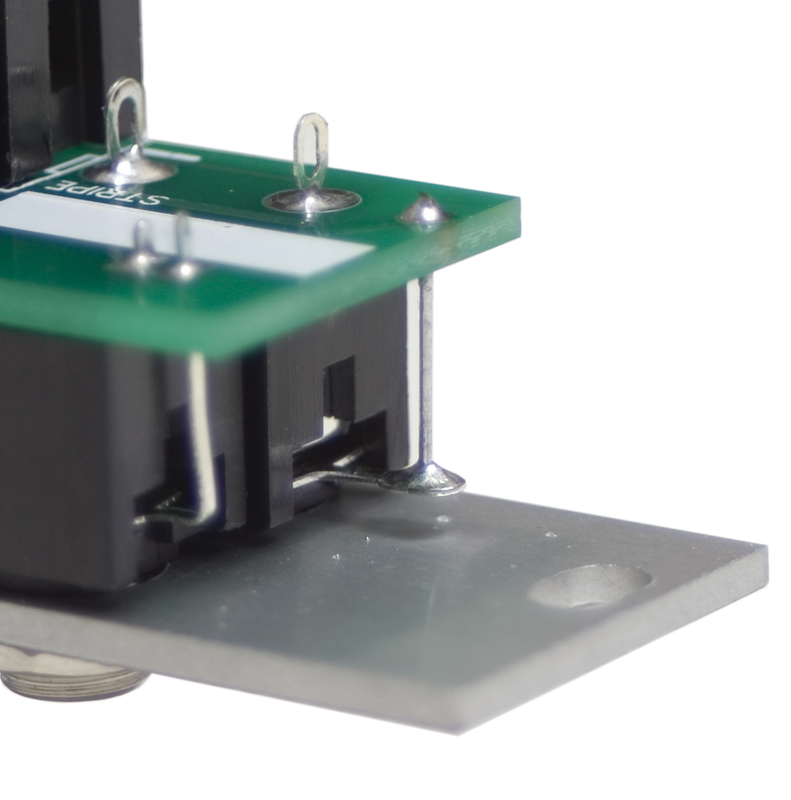 The order in which you populate the components doesn’t matter, but make sure when populating the LED that you align the longer leg AWAY from the flat side indicated on the PCB, as shown below. Next, carefully populate the rest of the components. Now we are going to use that resistor or diode clipping from earlier. Using a set of pliers or tweezers, carefully insert the diode clipping through the PCB and make sure that it goes through the ring in the jack’s leg, as shown below. Once you are happy with the diode clippings placement, solder it into place, and clip the excess that is hanging off the board. Congratulations! You just completed building the MST Ribbon Controller Module!